Well in our foster care journey so far, we have had 2 calls. One for a 2 month old and one for a brand new baby. I remember when a newborn scared me haha but now looking back, how easy it was. We are still waiting on that “call” that will change everything, and we know it is all in God’s timing, but I am anticipating a newborn very soon which made me think of how hard I thought it was to have 1 baby. Looking back now… I laugh. I remember very vividly the first night we brought our sweets home, I stayed up all night with her, as she was coughing up quite a bit of mucus due to her speedy birth. I remember saying, “why do moms complain about being up with their baby’s at night? I just want to spend all the time in the world with her and stare at her sweet face” Then after the adrenaline wore off, and 3 nights of probably about 5 hours sleep combined, exhaustion set in. I then knew the answer to my question. I also remember being thankful and not complaining much, because she was my rainbow baby. Our first pregnancy had ended in miscarriage, and after that experience, nothing more in the world was more important to me than becoming a mommy. Inside I wanted to complain though. it was hard, She was colicky, I was a new inexperienced mom, she would only sleep if she was moving, (thank God for swings) tightly swaddled, and had very loud white noise going. I remember downloading the “Happiest Baby on the Block” soundtrack and playing this weird womb sound track on repeat very loudly. She needed it loud to block out any other sound, she was a sensitive little babe and the world was just a bit too much for her. Thankfully this only lasted for the first 4 months of her life. I was and still am a knowledge junkie. I had read every book and even though I didn’t have experience ‘I knew’ what it was going to be like to be a mom. I was prepared. See, the thing is no matter what anyone says, or how much you prepare you do not truly know what it feels like to be a mother of a newborn, until you indeed are the mother of a newborn. Looking back it was hard and I can admit that now, but refused to admit it then. Thankfully I learned a thing or two through that difficult baby who is now my angel (most of the time). 17 short months later along came Marissa. God really blessed me with her because I could have plopped her in the kitchen sink while I was making dinner and she would of probably still fallen asleep. She could be passed around, carted everywhere, and she would just give me a sleepy smile and yawn and drift away to dreamland. 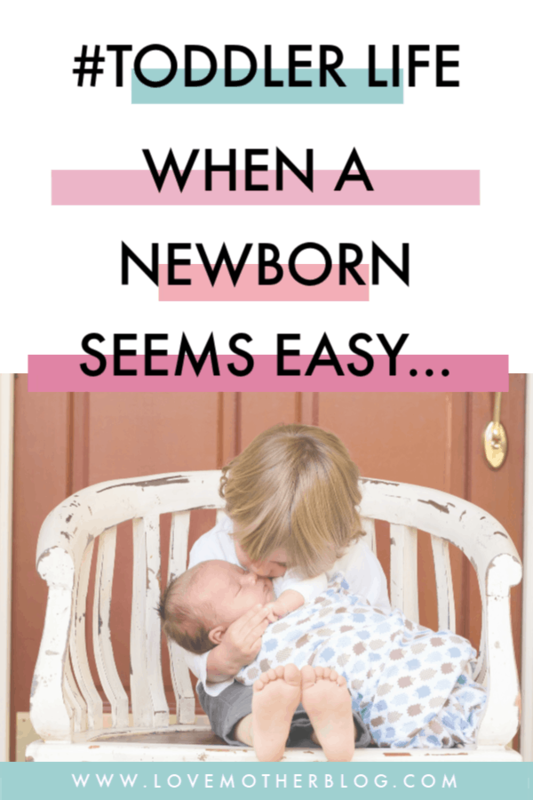 It was much easier because a) she was just an easy baby b)I had some more experience so I was armed and ready for her newborn stage, swaddle, swing, soothies, and womb sounds in hand ready to go! However there is that whole 2 baby thing – Sweets was still in diapers (thank God she was trained at 21 months so not for long did I have 2 in diapers) she had a different nap schedule, different needs and guess what? That whole “sleep when the baby sleeps” saying is fine and dandy when you have one baby but when you have a toddler and all her needs, well….you ain’t ever getting sleep again. Parenting a toddler is no joke! 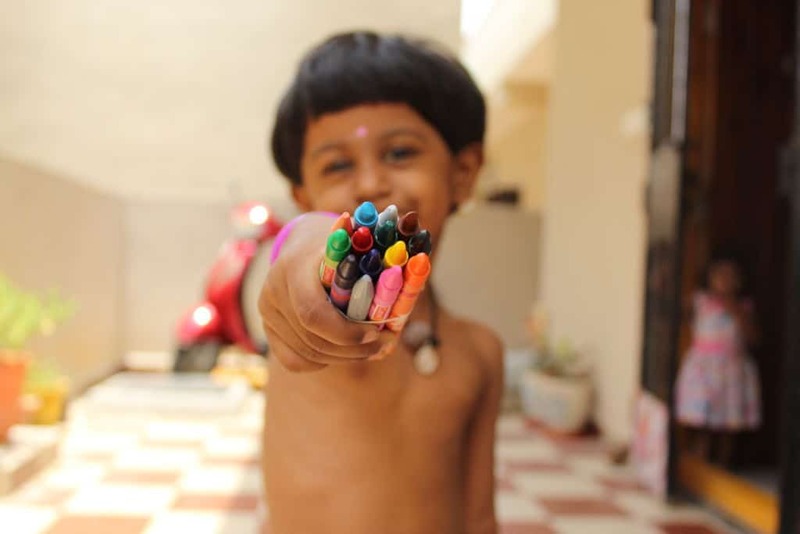 Now a few years later and I am in the thick of “terrible twos” and a “threenager” I long for a newborn – one newborn who I had to shhhhh and sway and snuggle to make her feel safe. How easy being a parent was then. Parenting a toddler can be so hard. You have to have some humor because these little toddler negotiators can drive you crazy! Parenting toddlers is SO MUCH harder. But then a moment happens where I have 2 little monkeys wrapped around me giving me kisses and telling me I’m the prettiest mommy in the world, and that they love me and miss me so much, and can they brush my hair and cover me with a blanket…..those moments, my heart melts and I could cry about how much love I feel for them. It makes every hard moment seem like its nothing. So mamas, here is my advice for you. No matter what stage you are in, it’s going to be hard, and it’s only going to get harder. Your kids are like your heart walking around outside your body. The bigger they get the bigger their problems and even as they grow and you start to gain some “mommy time” back and you can pee in privacy and actually finish your coffee before its cold, it will always be hard. The moment you became a mommy you sacrificed a huge part of yourself, a part you will never get back. A part you will never want back. The part that could go to the spa at ease, and go on vacation and lay in the sun and relax, read a book, have random date nights, SLEEP IN. Ya, you won’t want that part back. That easy life just isn’t worth it once your heart is walking around outside of your body.